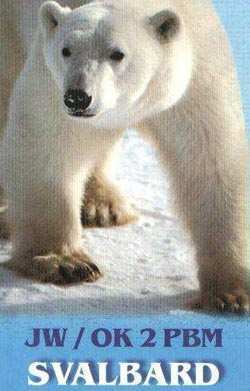 Why Arctic Circle and Svalbard? I've been surveying the DX scene of late and I'm really disappointed. Have you noticed that we've almost run out of "countries" to send our DX-peditionists? Yes, after we ran through all of the garden variety DX spots like Macedonia or Moldova, we all sought out more difficult-to-work spots like Sudan or Somalia. When we used those up we scratched up additional places - Market Reed- Jan Mayen etc. Next we turned our view to worrying about working stations in lightly populated remote corners of the globe Heard island, Niue, Kure, . Really groping for anything we might possibly have missed, North Korea, Peter I. Think what this means to the entire future of ham radio. 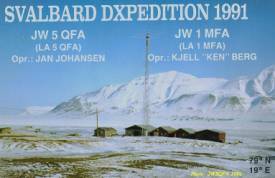 What about all of those guys running QRP and working a DXpedition on several bands? 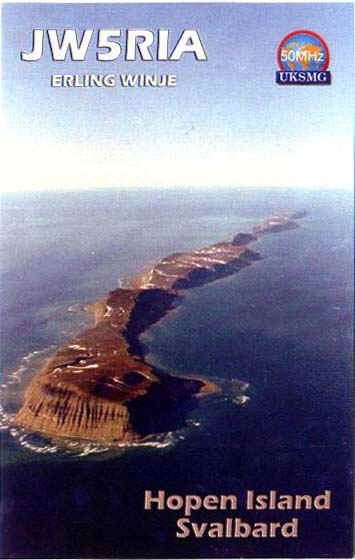 And what about a islands? 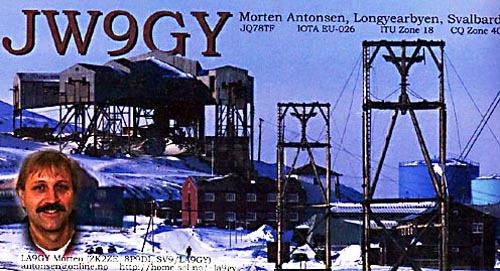 The next layer of DX is in there, only now we're going to have to use a bit of ingenuity to dig it out in order to save ham radio. trying to have a "signal" on-the-air! 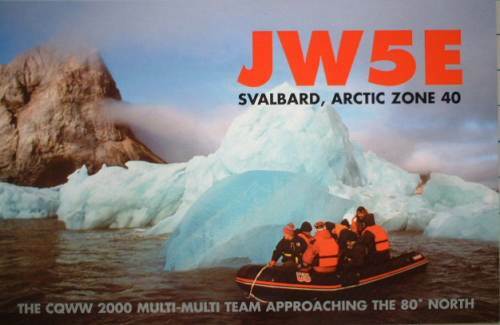 While the Srctic magic of Svalbard attracts increasing numbers of tours and cruise shtips, storm-lashed Jan Mayen remains largely neglected. 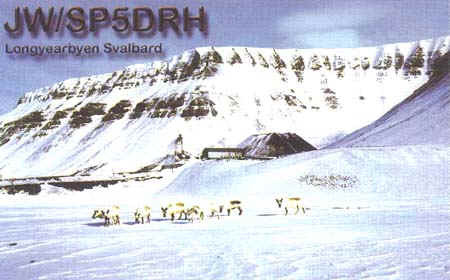 Svalbard is an assault on the senses, This wondrous archipelago is the world's most readily accessible bit of the polar north and one of the most spectacular places imaginable. Vast icebergs and floes choke the seas, and icefields and glaciers frost the lonely heights, but under close scrutiny, the harsh conditions reveal tiny gems. The arctic desert soil, however barren-looking, still produces lichens, miniature grasses and delicate flowers and the environment supports larger creatures: whales, seals, walruses, polar bears, Arctic foxes and Svalbatd Caribou. Add to that some of the most haunting scenery anywhere on the earth, and you have a dream destination for an unforgettable holiday. The DX World is full of controversy these days - What is a country (I should say "entity") what isn't? - Are certain DXpeditions on the up and up when they work some "big guns" but don't seem to hear others?? There will be some real goodies coming up soon for both prefix hunters and country chasers. Fortunately there are different interest , working Prefix for WPX, Zone for WAZ, Island for IOTA and others Award's program isn't quite as affected by constantly change of rules or different ideas. As we've said before, WAZ, WPX , WAE awards are not affected by this argument over country status. 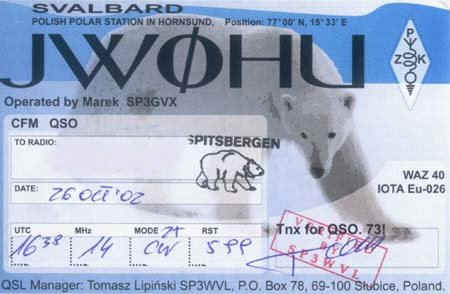 Svabard DXCC Entity, WAZ, WPX, WAE, IOTA, SCANDINAVIA and valid for many others Award Program. Trata-se de um projecto inovador que envolve rádio amadores Portugueses e que pela 1ª vez vai ter lugar no Circlo Polar àrtico. Esta actividade também pretende fortalecer os laços de amizade e cooperação técnica e científica com os rádio amadores Noruegueses. A criação de uma Página na Internet para divulgação do evento e promoção dos patrocinadores. Esta aliança em pleno das novas tecnologias rádio e internet vão permitir-nos actualizar em tempo real todos os comunicados rádio assim como todas as informações do desenrolar da actividade. O apoio de algumas entidades particulares . Esta expedição terá lugar na 1ª semana de Setembro de 2004. 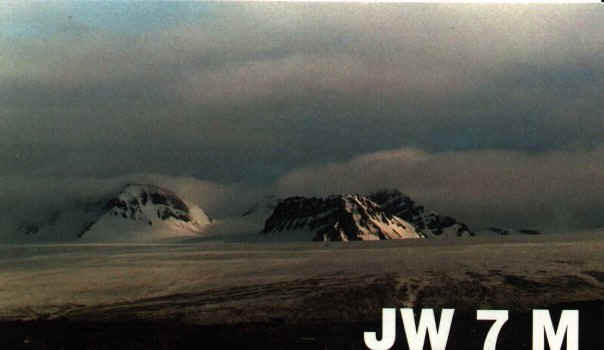 Além do indicativo especial JW5C cedido para o efeito pelas autoridades Norueguesas. 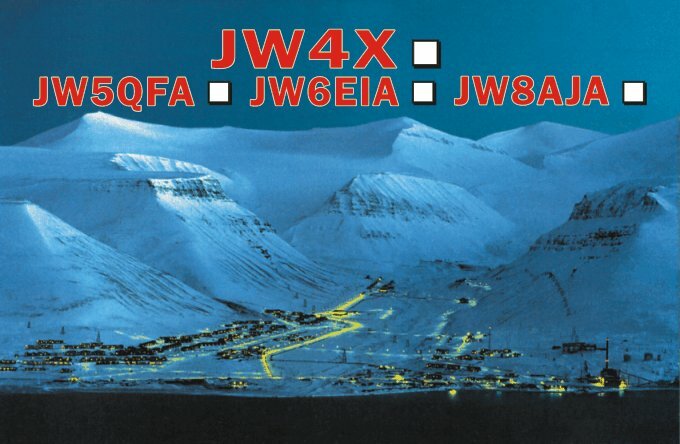 Já se realizaram ali várias Expedições, destacando-se JW5QFA e JW1MFA pelos noruegueses Jan Johansen e e Kjell Berg, respectivamente LA5QFA e LA1MFA. 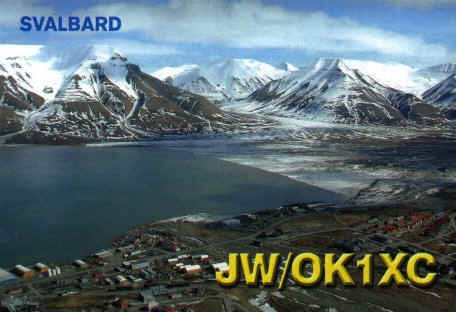 SVALBARD DX'pedition 1991 by JW5QFA Jan Johansen,LA5QFA and JW1MFA Kjell Berg, LA1MFA. 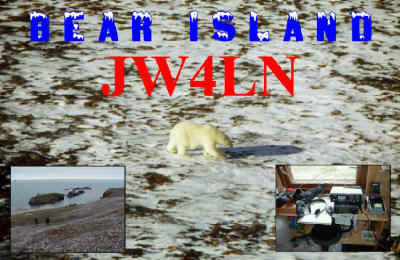 BEAR ISLAND by JW4LN. 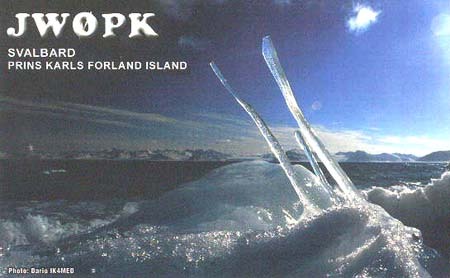 This page contains different cards representing Arctic Circle DX'peditions. 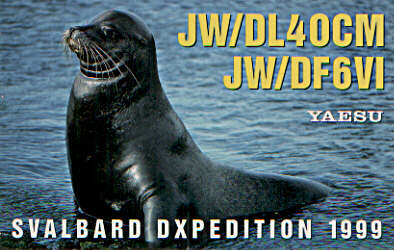 To our project this is very important as a example and a stimulation for our Dxpedition. The World Wide Web makes it easy to share images and photos with your friends.